Kristen Kelly, the Beauty Addict, is a little obsessed with makeup (although this is probably an understatement). She got her first lipstick as a very small girl, and endured the terrible pain of loss when the lipstick was left in the pocket of her school uniform and then laundered, turning everything a lovely shade of hot pink (hey, it was the '80s). Her first job, back in high school, was at a cosmetics and fragrance counter, selling beauty goodies to droves of women. By age 16 her makeup collection was so vast that it required the purchase of a large trunk to hold all of it. She toted this around to sleepovers and made over her friends. Kristen earned a Bachelor’s degree in Marketing from NYU’s Stern School of Business and had a very glamorous job in the fashion industry for three years. She is currently a marketing manager at a global professional services firm in New York, a job that has nothing to do with beauty but that she loves nonetheless. 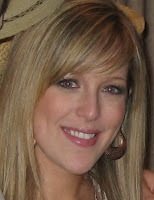 She founded Beauty Addict in September 2005 as a way to share her product obsessions with the world. While the initial audience consisted of her mother and her best friend, Beauty Addict is now one of the largest independent beauty blogs on the web and has been featured in The New York Times, Allure, WWD and others. Kristen grew up in Brooklyn, New York and has lived in a dorm in Manhattan, several hotels, and a penthouse apartment in a city which shall remain nameless. She currently splits her time between Bay Ridge, Brooklyn and Honolulu, HI. She is also addicted to shoes, sunglasses, European candy bars, and Diet Coke. Want to advertise on Beauty Addict? Click here. Or, click here to check out the entire suite of beauty blogs with available ad slots.